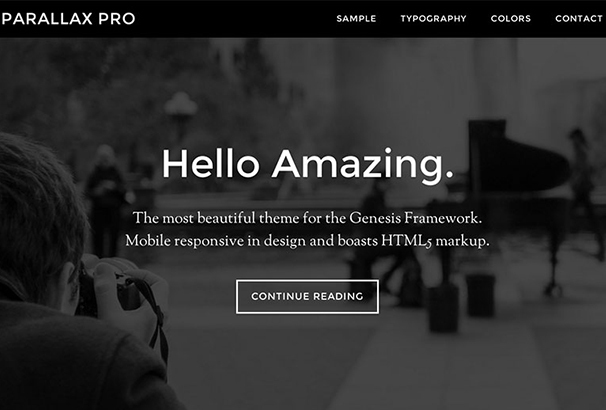 The Genesis Framework by StudioPress has exploded in popularity over the last few years, making it one of the largest if not largest theme framework available. One of the main reasons for this upward trend is the availability of numerous well-crafted child themes. It has become an absolute darling of many programmers and developers over the years, allowing even novice WordPress users to create beautiful looking websites. If you are thinking about purchasing a StudioPress theme, a good option to consider is their StudioPress Pro Plus “All Theme” package. This is their bundle of every theme that they make gives you access to 80+ themes from themselves and third-party developers, its great value saving you over $1200 compared to if you purchased each theme individually. People choose to go with StudioPress as it is one of the longest established and most advanced frameworks available, it includes lots of options and extras and will let you create powerful, modern and responsive websites with ease. In this collection we are looking at the very best Genesis Child Themes, we have picked suitable themes for bloggers, business websites, portfolios and other types of WordPress-based websites – take a look below. 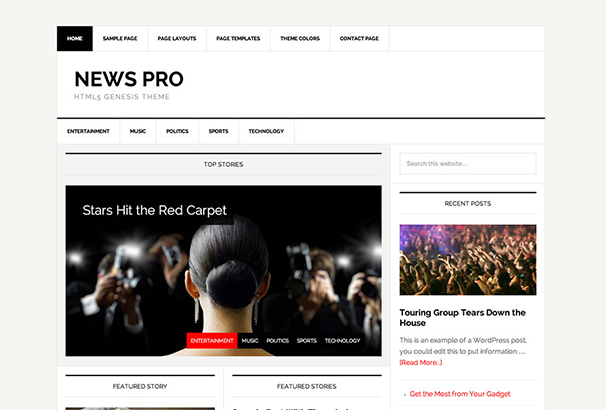 Built by StudioPress, the News Pro WP theme comes with 100% responsive design. 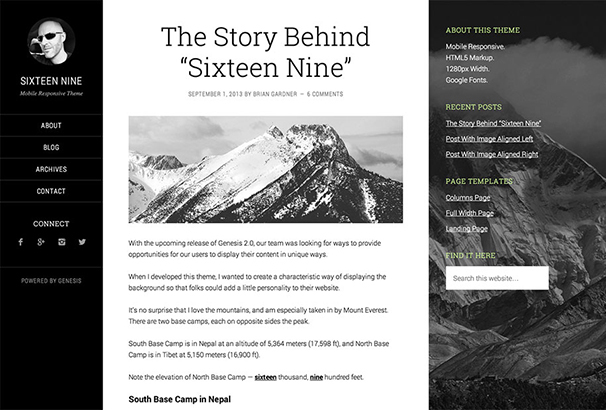 The theme has multiple sidebars, automatic updates, 6 layout options, custom widgets, navigation menu controls, integrated blog, and SEO options. It is the perfect solution for authors seeking to showcase their published work. 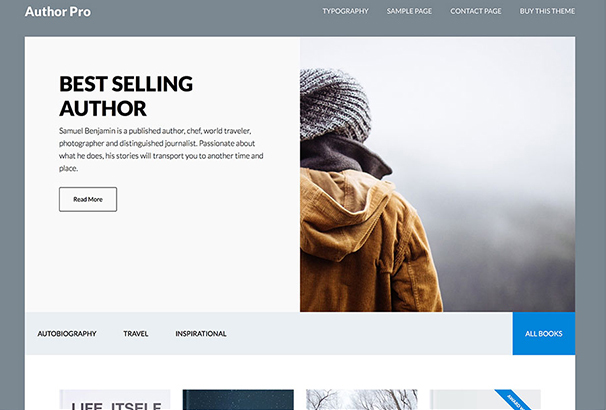 Author Pro is a highly optimized, dynamic, and easy to use WordPress theme framework with a convenient layout, change theme settings, and WooCommerce. Packed with functionality and great features, Author Pro gives you the opportunity to create something simple yet effective. 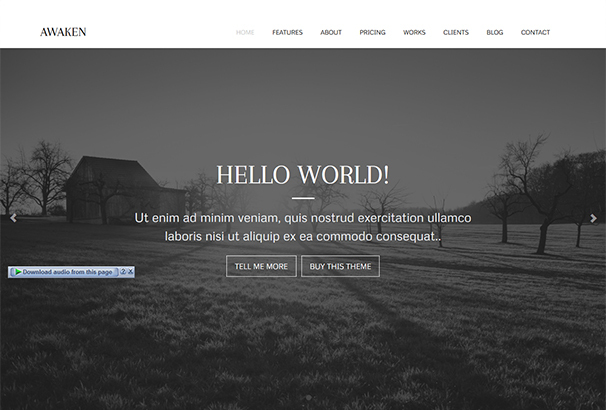 Furthermore, this theme comes with Genesis Framework, unlimited updates, supports & sites. If versatility, stunning designs, and mobile responsiveness are what your website needs, Sixteen Nine Pro may just be the right theme for you. For example, the customizable header will let you upload your own logo with just one click, while its multiple theme options allow you to create amazing designs. Furthermore, you will discover numerous features for building blogging platforms. No coding required! A seamless theme with modern twists, Altitude Pro has plenty of flexible features and layout options. It is conceptually conceived and extremely attractive. Plus, it’s suitable for any type of business. 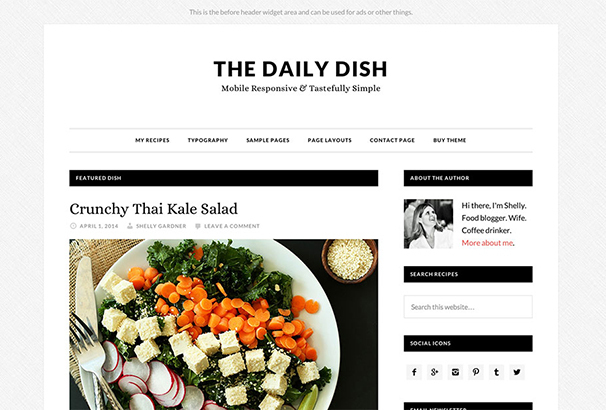 Daily Dish is a brilliant multi-purpose WP theme, built on solid-rock Genesis framework. It is widely used by bloggers or business sites, it comes with easy to use theme options, and its theme customize will let you change everything according to your need. You have astonishing landing page options so that you can captivate your audience; overall, it’s an excellent design. 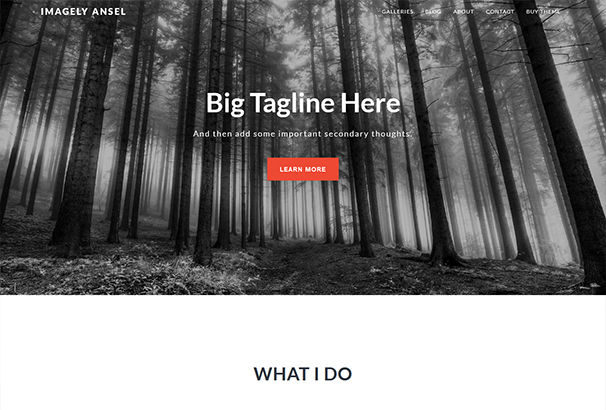 A great minimal Parallax design from StudioPress, it comes with a stylish and very professional layout. It boasts multiple theme options, representing the perfect combination of design and functionality for any type of business. 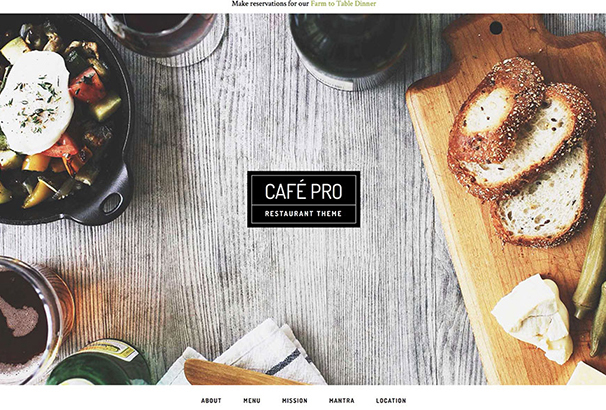 Beautiful Pro will cast a feminine feel in all areas of your website with its delicate color palette. 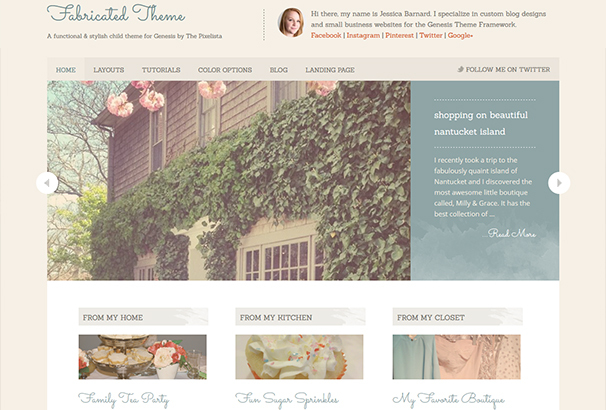 If you are a blogger, this theme may be a great choice for you. It includes mobile responsive design, page templates, custom header, custom menu, widgets and many other options. 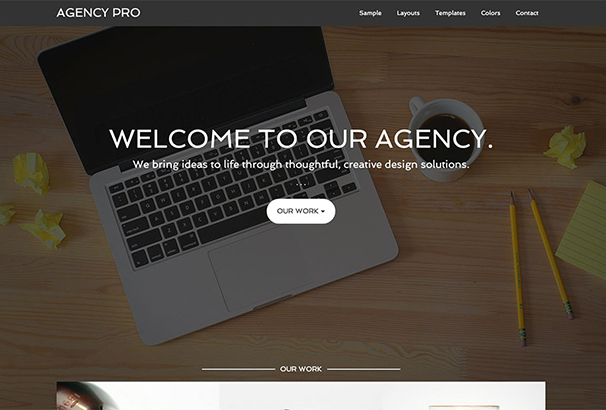 Having the intention of representing your services with clarity and determination, Agency Pro displays a smart look and a widget-friendly homepage that will help you build a professional website. On top of that, it is mobile friendly and comes with various features: WP page builder, fonts library, custom menus, auto sizing images, jQuery powered portfolio, and social media integration. 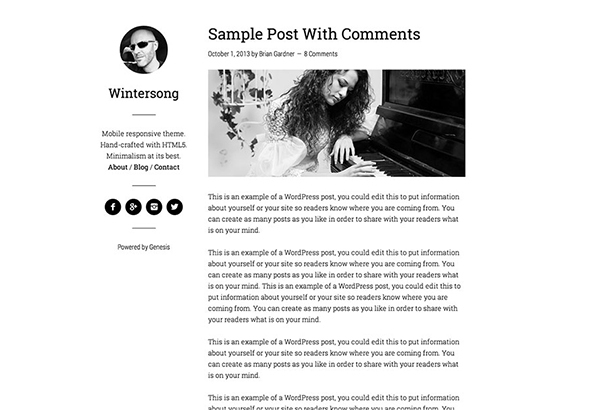 Another great looking Genesis Child Theme for WordPress is Whitespace Pro. You can use it to create a blog within a couple of minutes. What you’ll notice first about it when you’ll check the demo is how clean it is. It feels minimal, yet engaging. 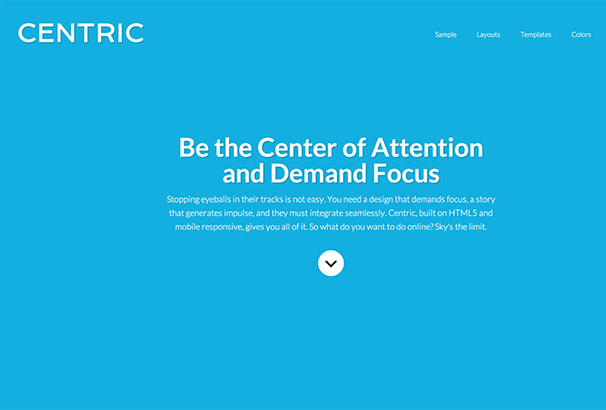 Centric Pro will simply capture any visitor attention- and keep it! Your bounce rates will drop off and you’ll be able to deliver your message in a clean and attractive way. Besides that, it’s fully responsive! 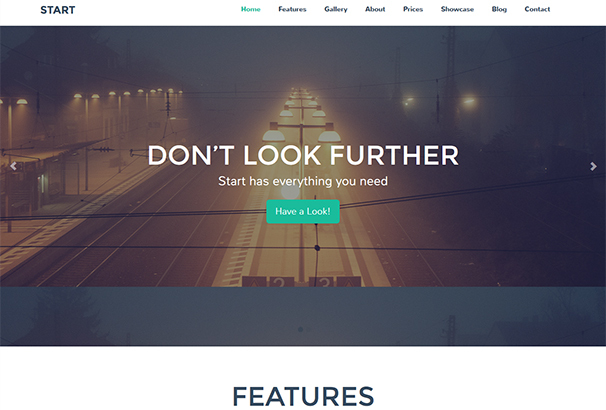 Place images front and center using this beautiful WP theme that has perfect pixel styling. 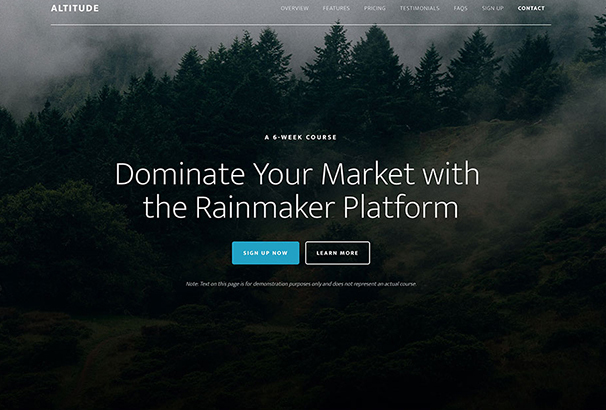 Parallax Pro includes five different color options, amazing typography, and various page layout options for Landing Page, Category Page, and Author Page. It makes your website look like a great storybook! 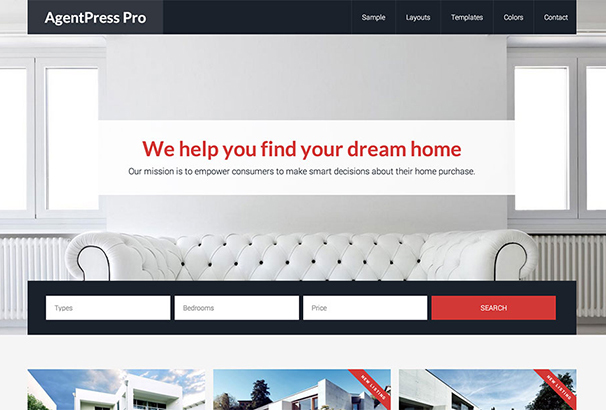 AgentPress Pro is specially built to help Realtors establish a solid online presence. It gives them the right tools to display listings in a clear manner, add customized widgets, customize the background and the header, utilize different color styles, and much more! 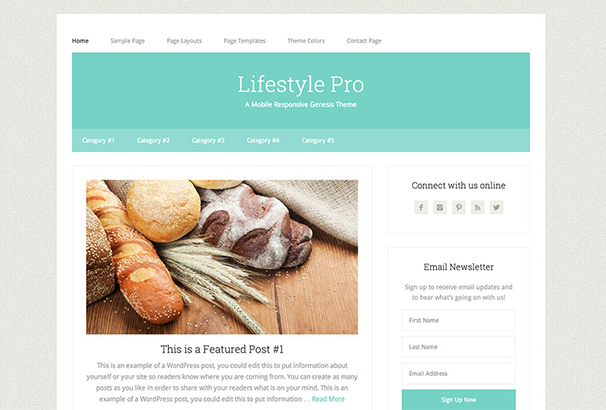 If you are in need of a bright, flexible and responsive magazine/ blog WordPress theme, Lifestyle Pro may be just what you’re looking for. 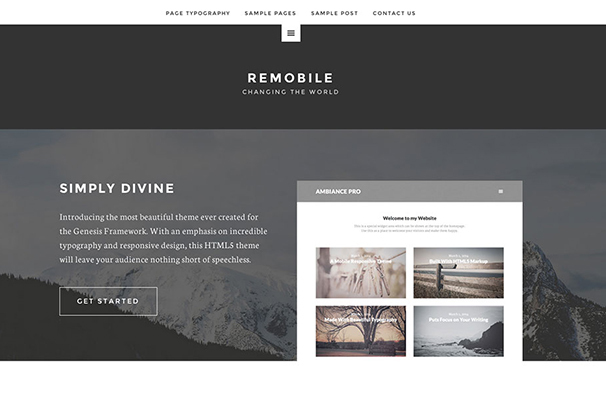 Built with a fully responsive design, a fluid, and widgetized homepage, Remobile Pro is a great investment if you need a site that’s minimal, fast, and reliable. 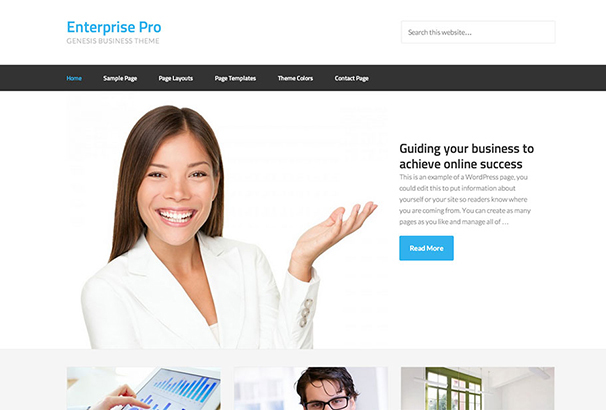 The theme is suitable for agencies, bloggers, and businesses. eleven40 Pro is a readily responsive, flexible and powerful WordPress theme that is best suited for authors. Whether you write journalism, self-help books, growth hacking articles or pretty much any form of published work, this is the theme for you. You’ll be amazed by its robust technological features and incredible malleability. Are you looking for a well-crafted and modern website? Metro Pro might be a great choice for you! It’s very easy to install, making the website development a quick and painless process. If you want to captivate the audience as soon as it lands on your website, Enterprise gives you the opportunity to display your greatest work on your homepage. 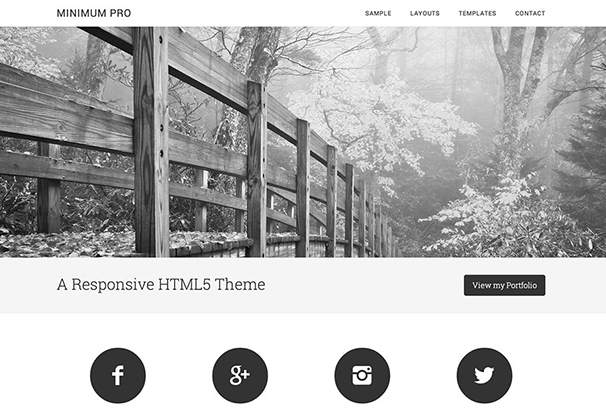 The theme runs flawlessly on many types of devices, it has a very clean and fluid design and comes with several features: Child Theme, Post Formats (Standard, Video, Audio, Gallery, Modify), 3 Home Pages, 8 Blog Post Pages, 8 Category Pages, Video Posts, Gallery Posts, Music Posts, Translation Ready, and Contact Form. 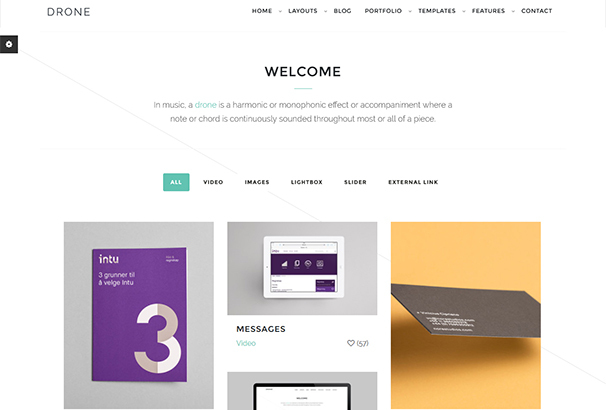 Minimum is an elegant and clean WordPress theme that aims to help you stand out from the crowd, as you elevate your brand above the competition. 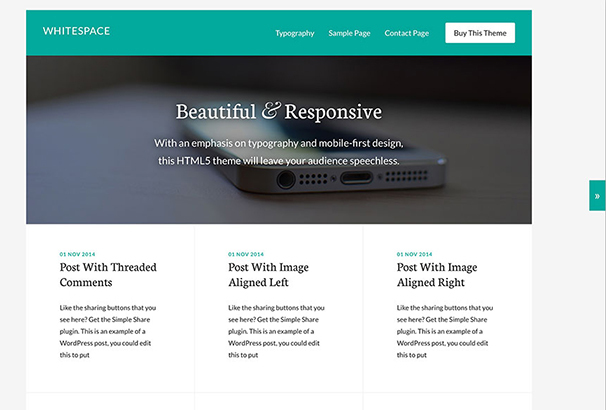 It offers Smart Theme Options, Custom Page Templates, Home Page Widget Areas, and much more! 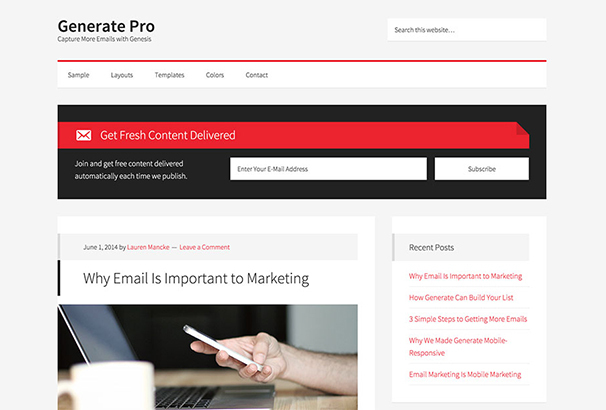 With a great potential to fuel your financial ascension, Generate Pro will make sure that your content will be delivered in style. The theme includes 3 different layout options, featured images for your blog, threaded comments, as well as archive, blog and landing page templates. 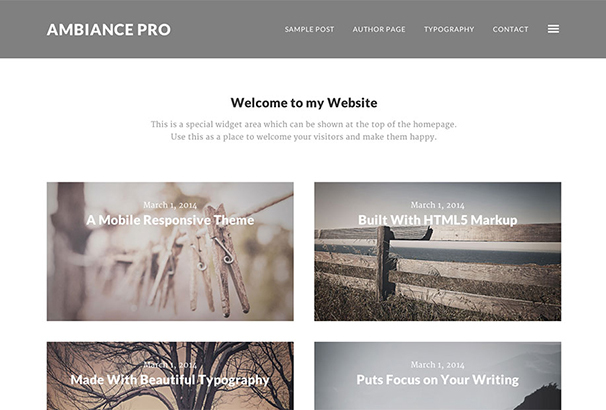 Ambiance Pro is another clean and classy Genesis WP theme built by StudioPress. 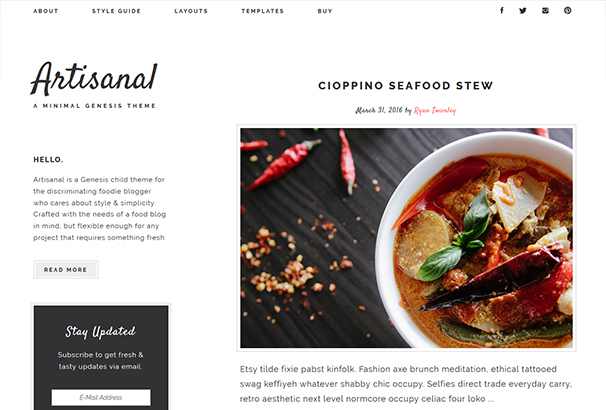 This theme would lend itself well to a portfolio or a blog. However, thanks to its multiple features, the theme can be used for many types of websites. 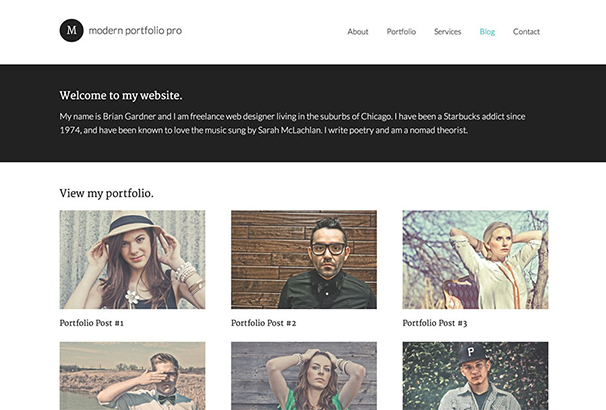 Reasonably priced and committed to high-quality standards, Modern Portfolio Pro provides the best layout options for displaying your work effectively, because first impressions matter. You can modify every single detail, thanks to a wide array of advanced features. 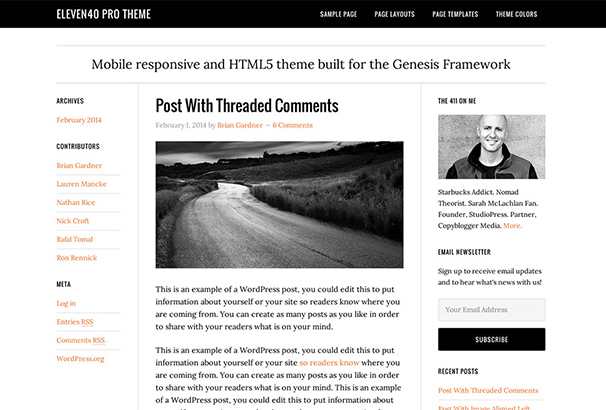 This theme comes with Genesis Framework, Responsive Design, 5 Color Skins, 6 Layout Options, Full-Width Layout, 2 Sidebars, Threaded Comments, Social Integration, and Unlimited Updates. It does keep things simple so that you can add whatever you like on your website. For those that are interested in buying this theme, all you need to know is that it has a convenient price and it offers a full gamma of features: Default Layout, Plugins, Widget Areas, Custom Menus, Landing Page Templates, and Theme Options. It’s the perfect solution if you are a blogger that needs fast setup and SEO readiness. 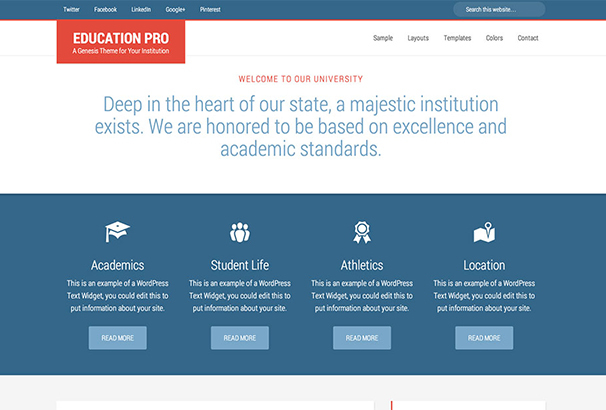 Packed with Visual Composer, 10 Unique Homepage Layouts, 800+ Google Fonts, Unlimited Colors, 5 Portfolio Layouts, and much more, Education Pro is one of the best WP themes designed for online courses and education related websites. 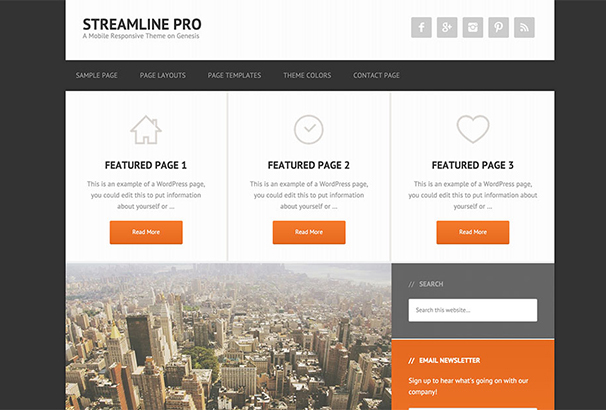 Streamline Pro is an attractive blogging WordPress theme with fully responsive design, clear navigation, SEO options, and automatic framework updates. Utilize the theme options and color schemes to create a professional website that matches your brand. You can also divide your content into parts, establishing a perfect connection between them. 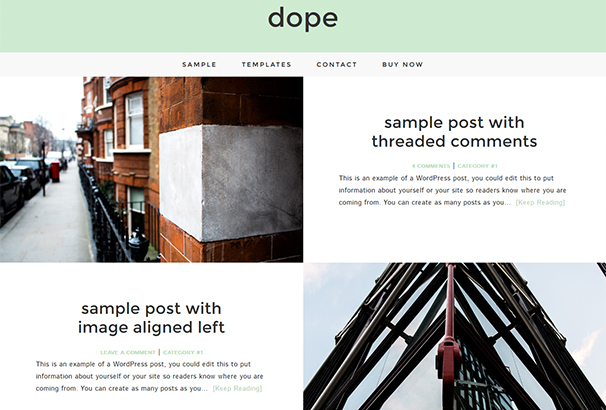 Drone is an outstanding, creative and modern WP theme, specially built for helping you create a minimalist portfolio and blogging website. Combining renowned elegance with flexibility, the theme offers notable features, waiting for you to discover them! 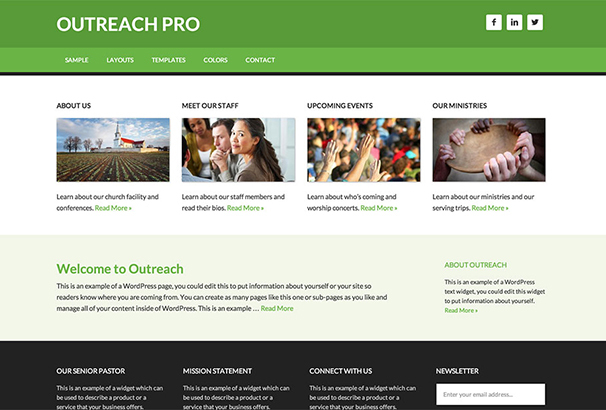 Did you ever want to buy a crowd funding/ charity/ non-profit WordPress theme that comes equipped with the Genesis Framework? Awaken combines amazing design and dynamism with the powerful Genesis Framework for unforeseen technological features and plenty of customization options. 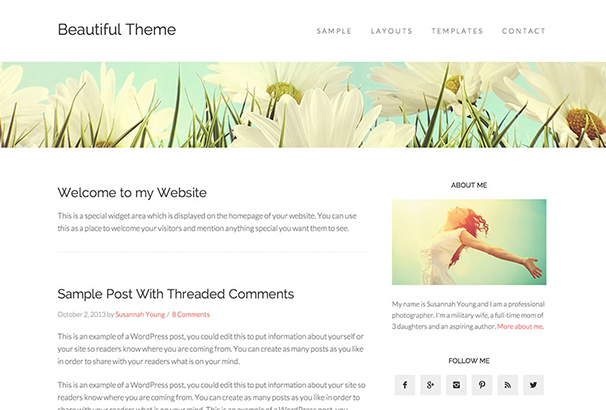 This theme incorporates amazing features, unlimited domain usage, and tons of colors. 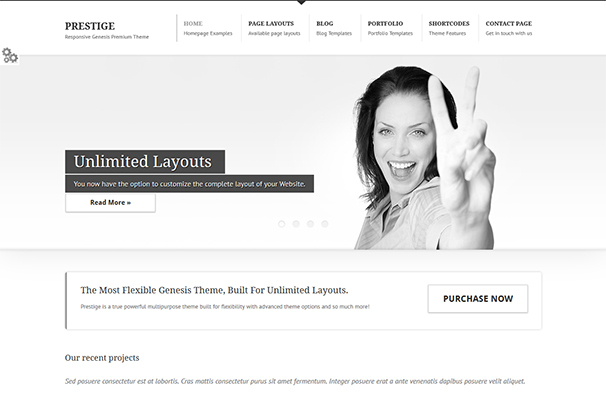 It is perfect for any kind of website that needs built-in page templates and gallery options. Let your website sparkle with plenty of conceptual designs fully integrated into this awesome theme. 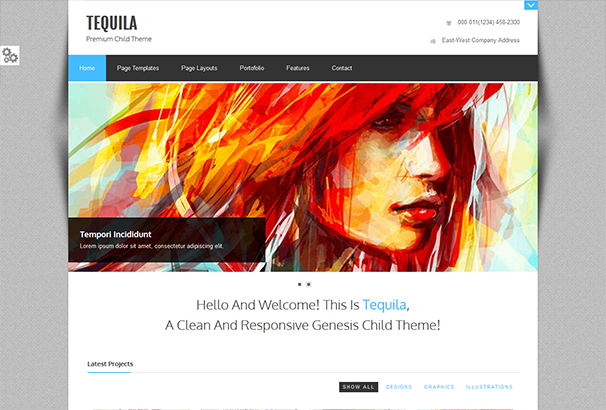 Tequila includes over 17 Amazing Demos, Powerful Mega Customizer, Premium Plugins, Unlimited Color Options, and much more! Start is a theme meant for original expression of content and ideas. Its many customization options give you everything you need for building a great website, regardless of the industry. Prestige is the perfect theme for webmasters that need a great solution to their customization necessities, regardless of market or niche. With a name like that, the theme makes sure you get everything you need without having to fear you might miss something! 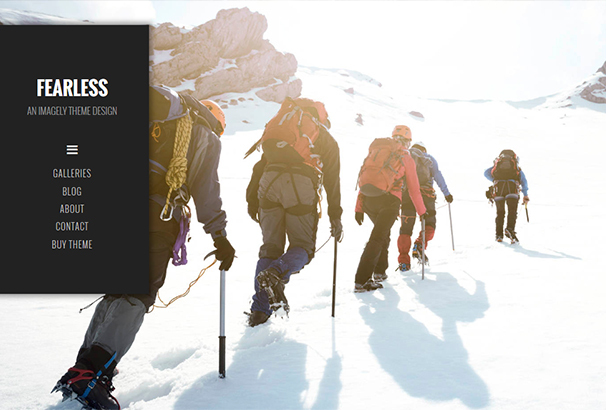 Fearless is one of the most reliable and flexible WP themes that comes with an amazing array of layouts. Businesses love Ansel, because it comes packed with many resources that speed up the website development process. It is fast, professional, and highly responsive! 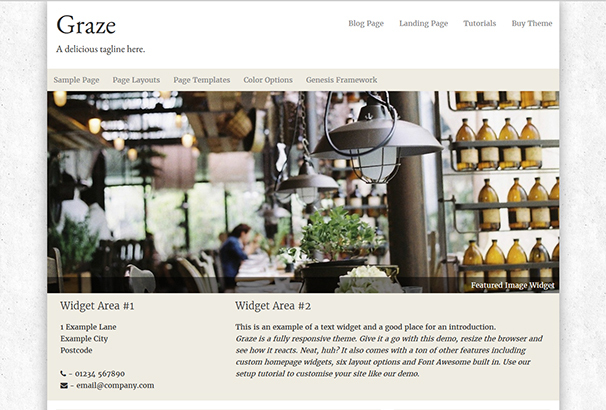 Graze is an attractive multifunctional WordPress theme which has been designed for restaurants, clubs, bars & events. It comes with unlimited food & drink menus, customizable colors & text, an easy to use admin panel, and much more! Fabricated is specially crafted for journalists, creatives, retailers, and more! 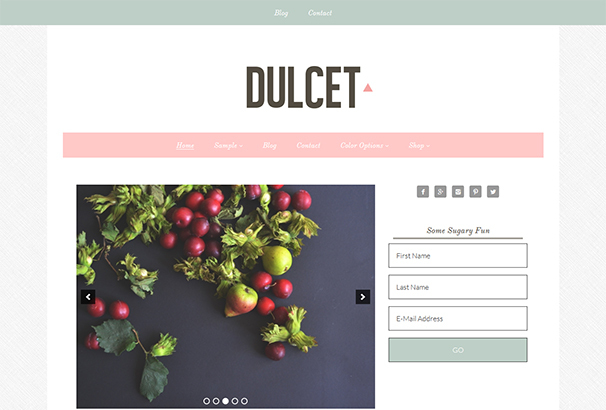 It has a vintage touch, plenty of theme designs, and integrated WooCommerce functions. 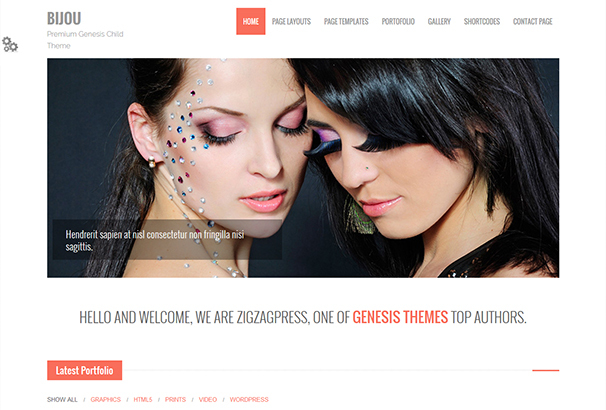 Dope Genesis Child Theme is designed to expedite the website building process for each and every business need. The theme is perfect for blogging as it will help you establish a valuable online presence. 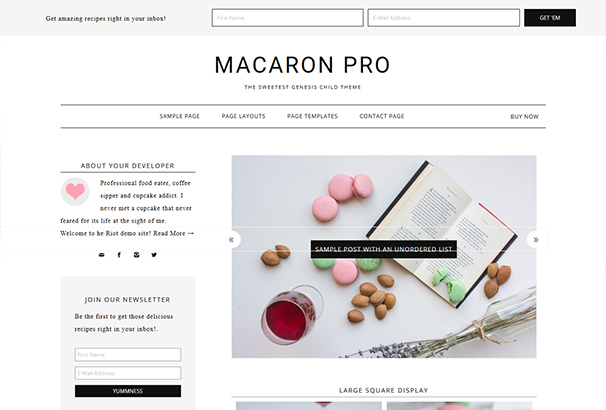 Macaron Pro is a remarkably flexible and tech-savvy Genesis WP theme. It is packed with gorgeous designs and features that will simply amaze you. 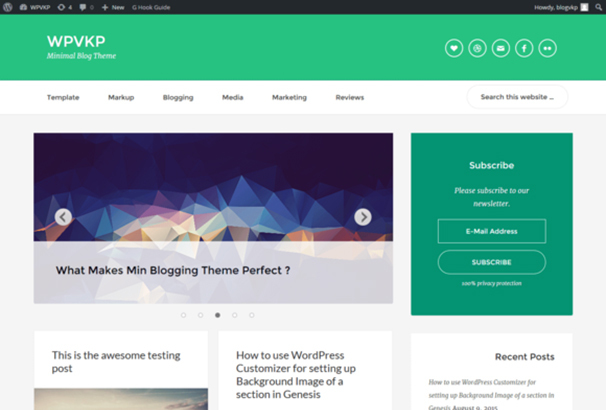 Blogging Pro is packed with flawless layouts, 5 custom color styles, multiple widgets, SEO features, and great support. With such a nice name, one could expect an equally charming theme! Thankfully, webmasters will not be left disappointed after using this flexible WordPress theme that can fulfill any purpose. 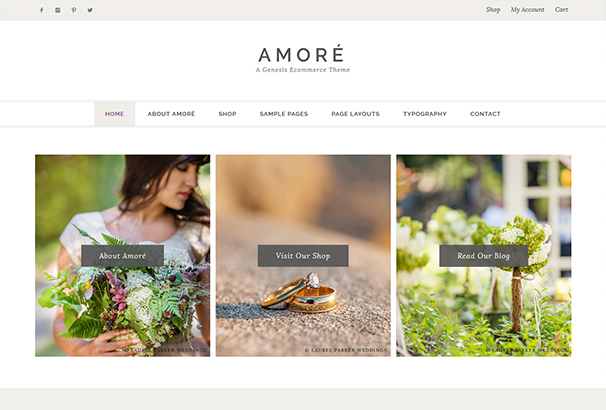 Amoré is a top-notch Genesis Child Theme made for wedding & event websites, lifestyle bloggers, and more. The theme has quick and easy to use customization options and unlimited color schemes. It comes with lovely, inspiring, and beautiful designs that will surely captivate your audience. Artisanal is one of the many Genesis Child Themes built with amazing attention to detail and versatility. The theme includes 3 portfolio templates, 6 widget areas, translation, portfolio case studies, and slideshows.